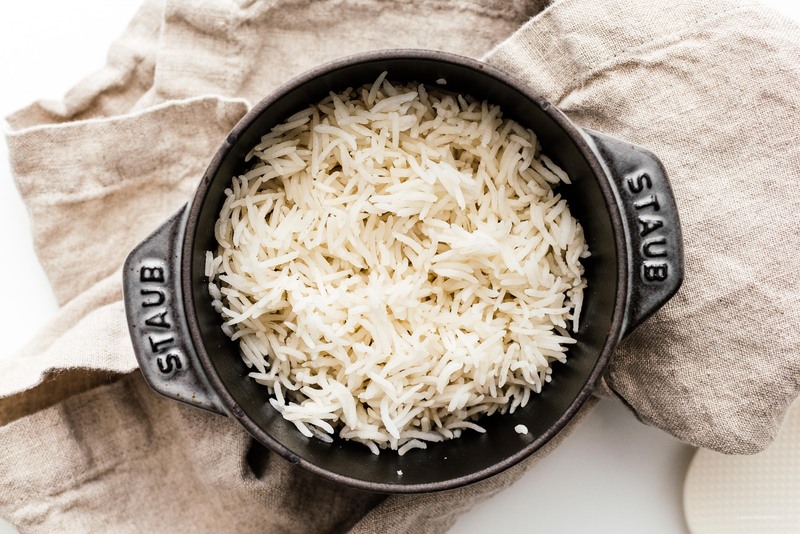 How to cook fluffy basmati rice in a pot on the stove – it's easier than you think. For the longest time I didn’t know how to cook rice in a pot. It seemed like some sort of magical cooking skill that was beyond me. You might think that’s sounds hilarious, but cooking rice in a rice cooker is what I did growing up – that I could do when I was 5 years old. In fact, it was my job to cook rice everyday as a kid. But now that Mike’s taught me how to cook rice in a pot, there’s no going back. 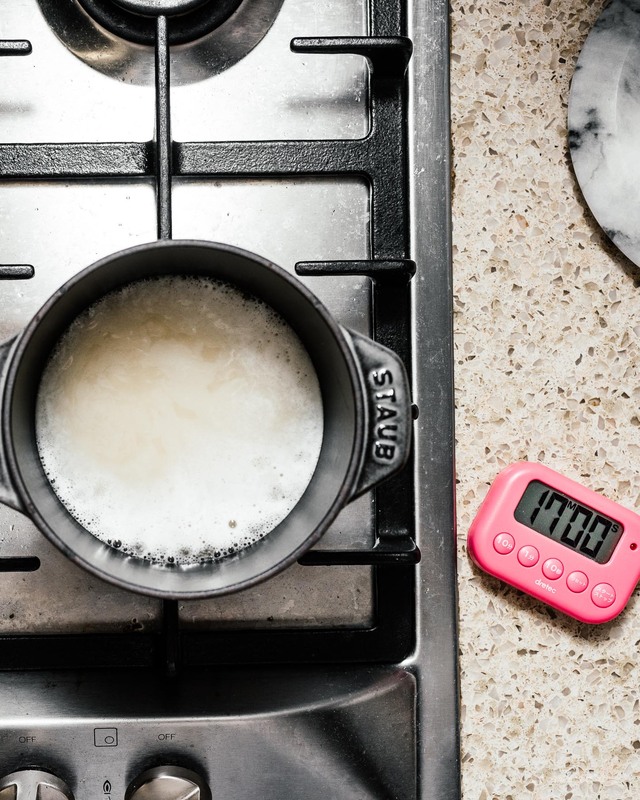 It’s simple really: combine rice and water in a pot, bring it to a boil, cover it and cook on low heat for 17 minutes, turn off the heat and let it sit with the lid on for 10 minutes, then remove the lid and fluff. Boom, simple! You can cook any rice like this, but recently I just made some basmati rice on the stove and it was fluffy and perfectly awesome so I thought I’d share. The key to good rice is the ratio or water to rice. Our perfect ratio is 1 cup rice to 1 1/4 cups liquid. The liquid can be anything – we mostly stick with water, but if you’re feeling flush, a little stock or coconut milk never hurts. Now you can cook rice whenever, wherever, no rice cooker needed! You’re free! 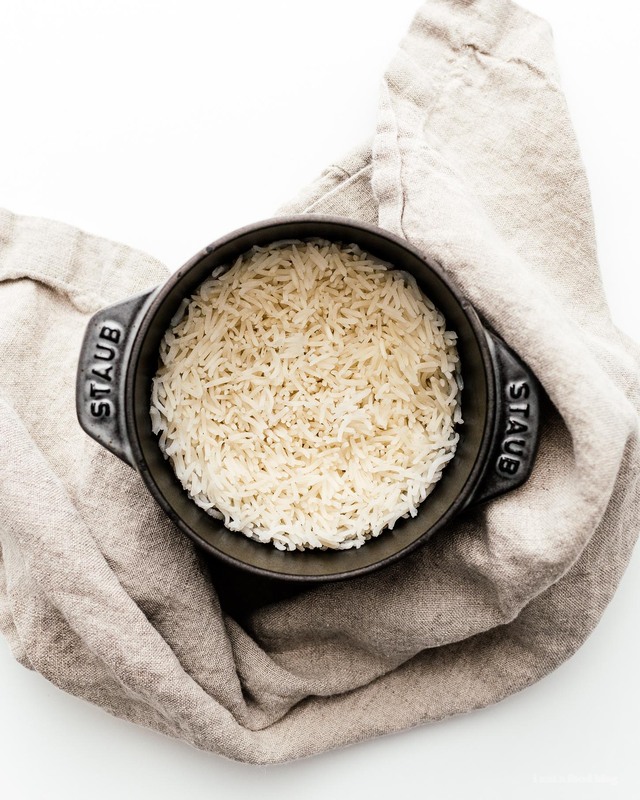 Place the rice and water in a pot with a tight fitting lid and bring to a boil over medium heat. This is a great basic recipe to know. 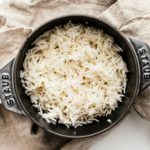 I love basmati rice, and often enjoy leftover rice with a buttery omelet on top. Yum!